1. Read the text and answer the question. Animals are more dangerous in zoo than in the wild. This is because they have lost their initial fear of man. Do not be fooled into thinking that zoo animals are pets. Do not attempt to touch them, they may bite and cause serious injury. A. You must not touch animals in the zoo. B. You have to fool animals to touch them. C. You are allowed to attempt to touchanimals. D. You are prohibited to go to the zoo atthe moment. Read the following text and answer questions 2 and 3. 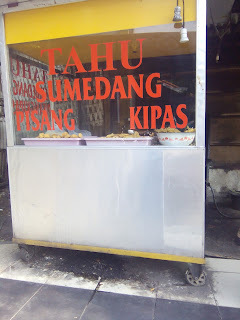 Dear AfifUtonlo, NindaPutrika, Sandi Asmoro. was so competitive. Your opponent strongly delivered their argument. However, your team is still able to rebut their argument. You have proved that your team are the best debaters of SMP 286. 2. What is the purpose of the text above ? A. To ask Afif. Ninda and Sandi to keep being respectful. B. To Support Afif, Ninda and Saudi to winall the debate competition. C. To congratulate Afif. Ninda and Sandion their success. D. To wish Afif, Ninda and Saudi to study much harder. Read the text and answer questions 4 and 5. Let me congratulate you on your success as the best pop singer in 2013. I hope you always perform the best in the next show. Read the text and answer questions 6 and 7. Do you have any plane for next holiday? Mira and I are going to spend our holiday at grandma’s house and our father will drive us to the village. If you want to join us, let us know soon. Remember, last holiday you didn't visit grandma! Remember we’ve had an appointment to go to the swimming pool after school. I’ll be waiting for you at home. After having lunch and taking a nap, prepare yourself to go. Don’t forget to bring your swimsuit. We will go there by bicycle. 8. What should they do before going to the swimming pool? A. Make an appointment and prepare everything. B. Have lunch and bring a swimsuit. C. Take a nap and ride a bicycle. D. Have lunch and take a nap. 9. When will they go to the swimming pool? Read the text and answer questions 10 and 11. Good morning, Mr. Tom Brown. I am Maria Salsa. I would like to inform you that this afternoon You are supposed to give us Mathematics additional lesson. The lesson will start at 2:00 p.m. up to 4:30 p.m..We have agreed to use Room 007 for this activity, We cannot use Room 002 as we have planned before, because the room is being used for another school activity now. We are looking forward to receiving your reply. Thank you for your confirmation. What does the sentence means? A. Mr. Brown would not come to theMathematics additional class thisafternoon. B. Mr. Brown has cancelled the class. C. Maria is asking whether Mr. Brownwould come to hi, class or not. D. Maria is asking Mr. Brown torescheduled the afternoon class. Read the text and answer questions 12 and13. Aptos non-surgical Facelift The latest non-surgical mini face-lift, neck-lift and brow­lift procedure from USA at half the cost.The effects of this one hour procedurelast 3-7 years. Allow 5 days to include aftercare. 12. How long is the proceclure? 13. What is the purpose of the text? A. Describing a special clinic. B. Describing how the service conducted. C. Advertising special treatment in theclinic. D. Telling how to come to the clinic. Read the text and answer questions 14 and 15. The name change reflects the shareholding increase of Saph re Group Limited from 85% to 99% in PT Bank Diamond Indonesia as well as our strong and continuing support for Indonesia’s- economic growth. 14. Why does the bank change its name? Read the text and answer questions 16and 17. In honor of our son’s hard work and effort! Saturday, March 25th, 2012 at 7:30 p.m.
16. Where is the party held? A. The Castle Rooms, Uddingston. Read the text and answer questions 18 to 20. Boyolali Regency is located in northof Solo and east of Merapi and Merbabu Mountains. This regency has been known for its production of fresh milk for a long time. No wonder, the cow statues adorn Boyolali. There are six main cow statues in Boyolali. They are displayed in different places. The statues are made of concrete. The color and shape are made in such a way to resemble real cows. However, the size is made - bigger to catch the eyes. Besides decorating the town, the statues - also turn out to be helpful for people from out of town to find places they are seeking in Boyolali. By mentioning the position of the statues, people can get their way easily. 19. What is the main idea of the last paragraph? A. The statues help people to find places easily. B. The statues decorate the town beautifully. C. The cows can get their way easilyaround the town. D. The people from out of town easily findthe statues. 20. “... they are seeking in Boyolali." A. People from out of town. Read the text and answer questions 21 to 23. It happened ten years ago. A group of seven girls went camping by the seashore. When they enjoyed their activities, suddenly a big wave came and swept out their tent and everything inside. The girls were panic and ran to save their lives. They tried to get to the farthest place as fast as they could, Rina even climbed up a coconut tree. After several minutes, the situation was finally calm. They walked back to the location where they set their tent up. They didn’t find anything there except a frying pan and a spoon. They could not help but laughing seeing that. Then they decided to go home. It was such an unforgettable experience but they were happy that they were all safe. The word "that" refers to . . . .
22. What did the girls do when the big waves came? They . . . .
23. What is the text about`? A. An amazing scout activity. B. Girls having an outbound activity. C. Girls going camping at the beach. D. A group of seven adventurous students. Read the text and answer questions 24 and 25. 1. Choose the size you want. If you want to put longer items placed in your pencil case, such as a ruler, you will need a longer pencil case. 2. Find a bag or box that suitable with your choice of size. It does not have to be nice looking, but strong and clean. 3. Cover the box with paper of any color. a. Put on some cool stickers. b. Decorate with your own art workwith markers: draw lines, shapes,animals, people, etc. c. Cut some magazine pictures and stickthem on it. e. Glue on shells, buttons, or anythingelse you want to decorate the pencilcase with. Add glitter if you like. 25. From the text above we can conclude that we must be . . . in decorating the box to have a good result. Read the text and answer questions 26 to 29. “I shall drown”, he cried. “Help! Help! Help!” but his voice was so tiny that it couldn’t be heard. A dove was sitting on a tree hanging over the water. She saw the ant struggling and ' quickly nipped off a leaf and let it fall into the water. The ant climbed upon it and floated down the river until the leaf was washed uponnthe bank of the river. The ant called out in its tiny voice. “Thank you, kind dove, you have saved my life,” but of course the dove couldn’t hear him. Several days afterwards, the dove was again sitting on the tree when a hunter crept carefully LIP the tree. His gun was pointed at the dove and he was about to shoot. Then, suddenly he was bitten in the leg by the ant. He cried out with pain and dropped his gun. This frightened the dove, and she flew away. “Thank you, kind ant,” cooed the dove,The ant heard it and was happy that he could help her. 26. Why did the hunter cry out with pain? A. His gun was exploded. B. His gun was dropped down. 27. What is the main idea of the fourth paragraph? A. The ant called the dove. B. The dove saved the ant's life. C. The ant's voice was very soft. D. The ant was thankful to the dove. 28. What does the text generally tell us about? A. The dove on the tree. B. The aniw and the dove. C. The ant near the river. 29. What can we learn from the story? A. Supporting each other in crime is a must. B. Sharing each other, making a wealthy life. C. Helping each other is the best thin- to do in life. D. Thanking each other for kindness is dangerous. Read the text and answer questions 30 to 32. I am used to travelling by air but only on one occasion did I felt frighten. After taking off, we flew low over the city. It slowly went high to the sky. But, suddenly it turned round and flew back to the airport. A stewardess told us to keep calm and to getoff the plane quietly as soon as it landed. After we landed, the police searched the plane carefully. Everybody on board was worried and we grew curious about what was happening. Later we learnt that there was a very important person on board. Earlier somebody told the police that there was a bomb on the plane. Fortunately, they didn't find a bomb and five hours later we were able to take off again. 30. Who searched the plane carefully? 31. Why did the plane fly back to the airport? A. The pilot was afraid of bombs. B. The pilot foroot about somcthinl. C. The passengers were frightened andshocked. D. Police suspected that there was a bombon the plane. 32. What is the main idea of paragraph three? A. The writer felt frightened. B. The police searched the plane carefully. C. There was a very important person onboard. For questions 33 to 35, choose the best words tocomplete the text. In my house, I have two rose shrubs. I­water them every morning and I am happy to see them grow. One of the shrubs is in blossom. They took very beautiful and smell so ...(1). There are also some roses that are still wrapped in tight green buds. Although I really want to, I have never seen the blossoming process. I enjoy seeing and touching the delicate petal of the roses lightly. But if I...(2)it, I should be very ...(3). Otherwise i will spoil the petals. 36. Arrange these words into a meaningful sentence. 37. Choose the best arrangement to make a good notice. Read the text and answer question 38. 38. The text means that the zoo visitors ... the animals. Hi, girl! Do you know our singing rehearsal was cancelled this afternoon? Mr. Andikatold me this just now. Our practice will be done on Wednesday afternoon after Mrs. Erlita has come back from Solo. So, how about going to Taman Anggrek Mall just for window-shopping? Anyway. Rico is ready to accompany us. Please reply soon. 39. What is the purpose of the message? A. To tell Vitaloka that the singingrehearsal has been postponed. B. To ask Vitaloka to join the singgingpractice this afternoon. C. To remind Vitaloka to come to the singing rehearsal. D. To inform Mr. Andika about the Taman Ang-rek Mall. What does the word “us” refer to? A. Mrs. Erlita and her students. B. Rio and his classmates. C. Mr. Aridika and his friend. D. The writer and Vitaloka. Read the text and answer questions 42 to 45. Two best players of the chess tournament will go to Bali for a week. To face this tournament, all students of SMP AbdiBangsa who are good at playing chess are hoped to contact Mr. Abraham Ali soon for selection and further training. Let's win this tournament and make our school as the champion again. 42. The purpose of writing the text is to ask the students . . . themselves to be the schoolchess players. 43. Why does the school hold the 11thInterschool Chess Tournament? A. To face the cOming chess tournament inthe school. B. To participate in the chess tournament in Bali. C. To create national chess players. D. To retain the chess champion title. 44. The text shows that Mr. Abraham must bethe . . . of the tournament. Read the text and answer questions 45 to 47. The Competition was so competitive. proved yourself as the best student. in the future and keep being respectful. 45. What is the writer's purpose to writc the text? A. To show her spcclal attention to thewriter who is really sniart in physics. B. To congrratulate Andre for his success to be the first winner of the Olympiad. D. To support Andre Alfaribyin orderto win the cominigtrophy of younginventors. 46. From the text, we can conClude that Aiwa Doliany. . . .
47. What does the writer think about AndreAlfariby? A. He has become a scientist. B. He is like her brother. D. He is very clever. Read the text and answer questions 48 to 50. Hello Myra, how are things with you? I do hope you are always fine. I am not okay, actually. I’ve lost everything, my electronic devices, my Blackberry, even friends. I wish you could be here with me. I've lost everything because my father was fired from his office. You may not believe it, but it is true. His company was bankrupt and closed. From then on, we have to live carefully. My father had to sell our property before he can find a new job. Unfortunately, he cannot get one up to now. no one comes to me. They may have foraottt n me. Will you forget me too. Myra? I do hope you won't leave me either. I need your support, Myra! 49.What is the main idea of paragraph 3? A. Sendy's friends have left her. D. Sendy’s friends used to borrow her mobile phones. 50. From the text, we can conclude that Sendy’sfather belongs to a . . . man now. hahaha bu guru lagi baik hati dik, upload soal-soal buat murid2nyaa hahahaha..
okee sama2 .. good luck yaa..
Ini tes nya udah pernah dicoba? Dan apakah sudah divalidasi sama experts?